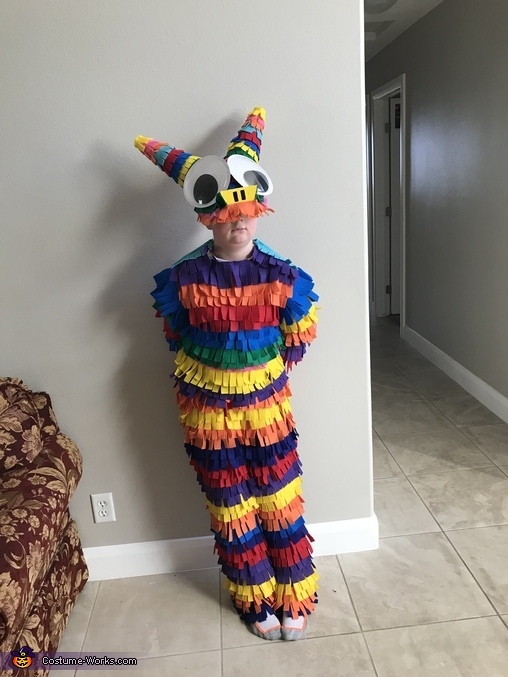 My son decided he wanted to be a piñata because he had never seen anyone be a piñata before! So after brainstorming for weeks I decided to use felt strips and glue them to a shirt and some pants. It was easy but time consuming. His costume was the hit of the day for sure. The only down side is that we live in the desert and this costume was just like wearing a full body snow suit.